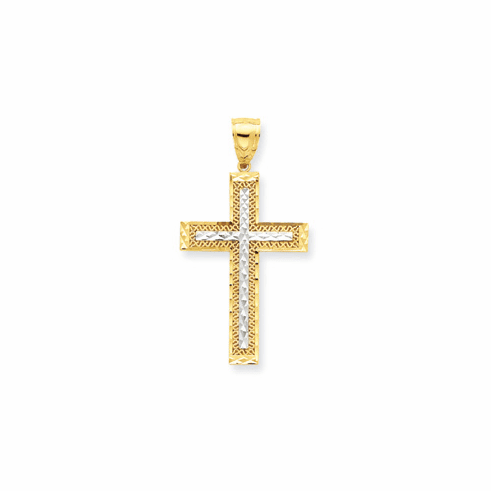 Fancy 10k & Rhodium Diamond-Cut Cross Pendant has a textured back. 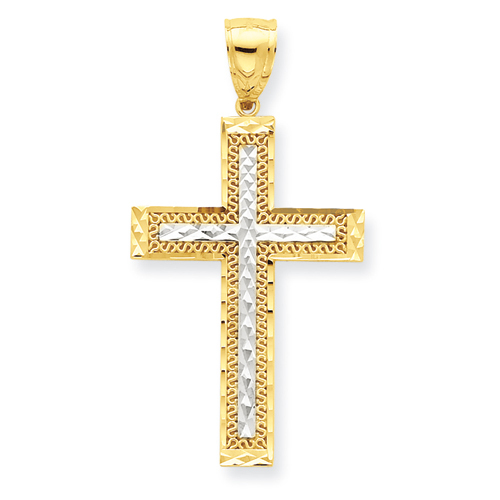 Made in the U.S.. Order today,pay with paypal and the item will ship to you today! !